Tinks Radio is a non profitable online radio station. We are extremely unique with 11 big named celebrities involved, the only online radio station with so many celebrities in one place! We are raising funds to help keep it in the community and help the radio expand more into your community. This is the most unique online radio station as voted with 11 big named celebrities involved. Everything we have gas been donated all money raised goes straight to the software provider. 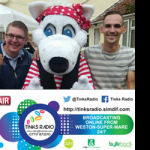 Tinks Radio is run by disabled person Steve Mellor and his partner David Pearson who helps run the station to help take his mind off his condition. 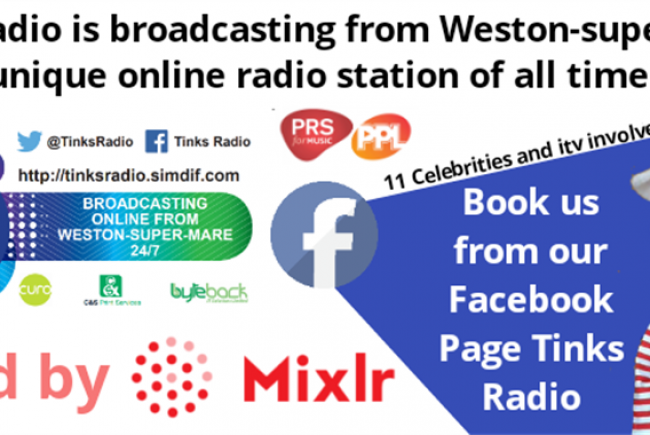 The radio is set up to give a fully licensed radio station back to the community broadcasting from Weston-super-Mare. Help Steve Mellor and his partner keep the station in the community. Project Delivery Manager: Steve Mellor The Project Delivery Manager takes legal responsibility for receiving and spending the funds raised and ensuring the project is delivered.